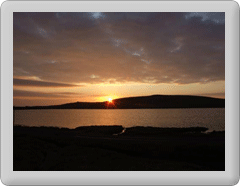 Fetlar is due to feature on the STV News this evening (Wednesday 27th October), and also tomorrow. Reporter Cheryl Paul was in Shetland with Jim Brown, director of 'Between Weathers'. Please tune in to ITV at 6pm this evening if you want to see this feature.